Tenth creation, Moonstone, love precious objects? "Every day is a birth, every moment is a new life. I live in the Light of my deep inner being. " This object drawn there a few years ago seemed to me perfectly be appropriate for be added on the bottom. It was for me as obvious, he had to be there. 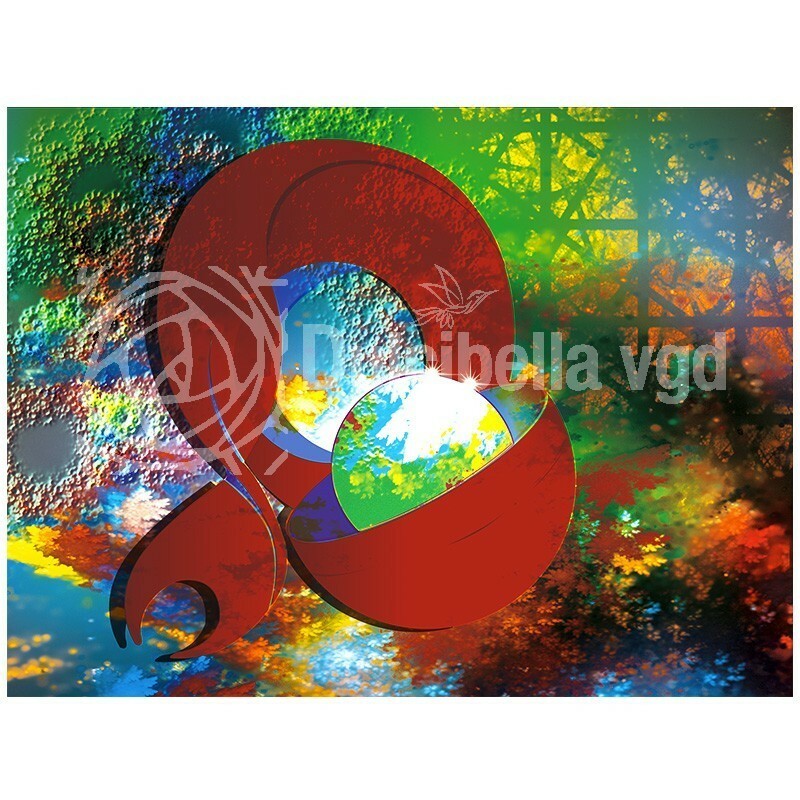 On the blog of my gallery "vgd-pinceaux.com" I will explain how I made this canvas. It is a sacred stone in India that brings good fortune. Ruled by the moon, it symbolizes the feminine side of our nature. A legend tells that the person placing the stone in his mouth, the full moon, will be able to predict the future. It symbolizes maternal love, lovers and moon cycles.